Are we physicians neglecting an effective and inexpensive tool? A recent article by Varghese et al in Heart (1) has highlighted the importance of regular physical activity for primary and secondary ischaemic heart disease prevention. The study has fueled debate as to the difficulties that currently exist for the implementation of such an important preventative intervention in real life clinical practice. Regular physical activity has been shown to independently reduce the risk of coronary heart disease and to have a beneficial effect on risk factors such as hypertension and diabetes. Current guidelines consistently recommend 30 min of moderate- intensity exercise 5 days a week, as a measure to reduce cardiovascular risk in both primary prevention and patients with ischaemic heart disease (secondary prevention) (2). It is of concern, however, that despite the established beneficial effect of regular exercise, not enough people appear to be encouraged to resort to this tool for cardiovascular disease prevention. (1) The question has therefore emerged as to whether professional institutions, in general, and practicing physicians, in particular, engage effectively in conveying the message. Varghese et al (1) indicate that the AHA recommends that clinicians use counselling interventions including strategies such as setting specific and short-term goals and providing feedback on progress. Appropriate training however is required for professionals to be confident regarding their advocacy role. Varghese et al (1) argue that although the evidence supporting physical activity as a beneficial preventative intervention is sound, the incorporation of regular exercise into current care pathways is less than ideal. That physicians may be neglecting the importance of this inexpensive but effective preventative intervention is of concern. Efforts should be made to identify and implement innovative strategies that encourage physicians to incorporate advise on physical activity into their routine clinical practice. Perhaps social media systems and creative telephone apps can help conveying the important message of the beneficial effects of physical activity to patients and the general population. There is no doubt in my mind that regular exercise should be a major component in all cardiovascular disease prevention programmes. Physicians should be encouraged to become familiar with the evidence that supports exercise as a major beneficial therapeutic intervention and convey the message to their patients accordingly. Green DJ, O’Driscoll G, Joyner MJ, et al. Exercise and cardiovascular risk reduction: time to update the rationale for exercise? J Appl Physiol 2008;105:766–8. Trivax JE, Franklin BA, Goldstein JA, et al. Acute cardiac effects of marathon running. J Appl Physiol 2010;108:1148–53. O’Keefe JH, Franklin B, Lavie CJ. Exercising for health and longevity vs peak performance: different regimens for different goals. Mayo Clin Proc 2014;89:1171–5. Williams PT, Thompson PD. 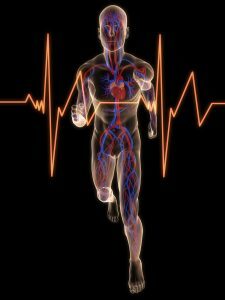 Increased cardiovascular disease mortality associated with excessive exercise in heart attack survivors. Mayo Clin Proc 2014;89:1187–94. Mons U, Hahmann H, Brenner H. A reverse J-shaped association of leisure time physical activity with prognosis in patients with stable coronary heart disease: evidence from a large cohort with repeated measurements. Heart 2014;100:1043–9. Physical inactivity has been recognized as an independent risk factor for the premature development of coronary heart disease and for this reason medical societies recommend regular physical exercise both for primary and secondary prevention. With this background, we should welcome the article by Professor Kaski in this issue of Cardio Debate, which highlights findings in the recent review article by Varghese et al. on the rationale, current guidelines for and recommendations to promote physical activity for primary and secondary prevention of coronary heart disease. JC Kaski correctly underlines the fact that the evidence from clinical trials to establish the benefit of fitness is relatively poor and that exercise, particularly if strenuous, might be associated with risks in some patients. Nevertheless, physicians should consider that the benefits of physical activity generally outweigh its negative effects in most patients and that it constitutes the most inexpensive mode of preventative therapy. Thus, counseling patients on exercise should be done on a routine basis, possibly using an individualized approach requiring the prescription of physical activity in order to overcome perceived barriers to exercising.